Everton have a lot of work to do in the second half of the season to reignite their campaign after a difficult spell over the cause of the past few weeks, where the Toffees have lost four of their last five Premier League matches. Marco Silva’s management has been called into question, particularly his decision to continuously overlook talented winger Ademola Lookman, and it seems a Premier League rival is looking to take advantage of that situation with an ambitious move for a player rated at £18m by TransferMarkt. According to The Daily Star (8th January, page 47), Southampton boss Ralph Hasenhuttl wants to bring the 21-year-old to the Saints as his first signing since replacing Mark Hughes after working with Lookman during his spell at RB Leipzig last season. 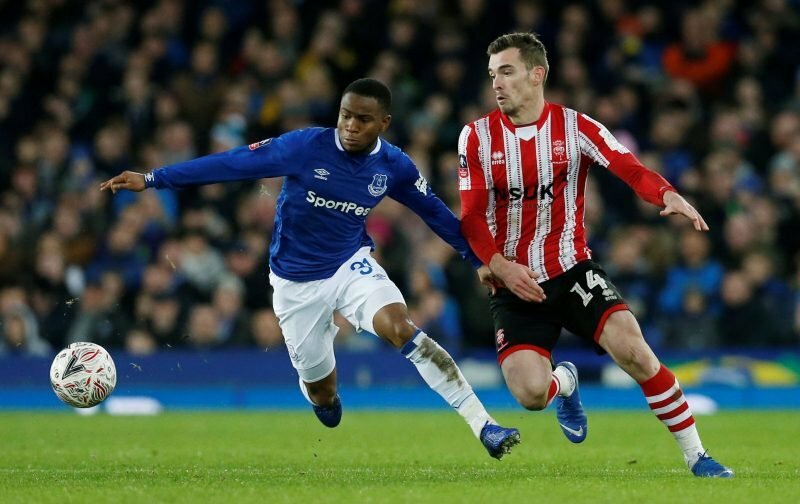 Lookman, who scored in the FA Cup victory over Lincoln City last weekend, has earned just one start in the league this season and could be interested in the chance to work with Hasenhuttl once again – although a permanent switch seems unlikely. However, a loan move with the opportunity of playing regularly in the top-flight of English football could appeal to all parties if Silva is unconvinced about Lookman’s abilities.